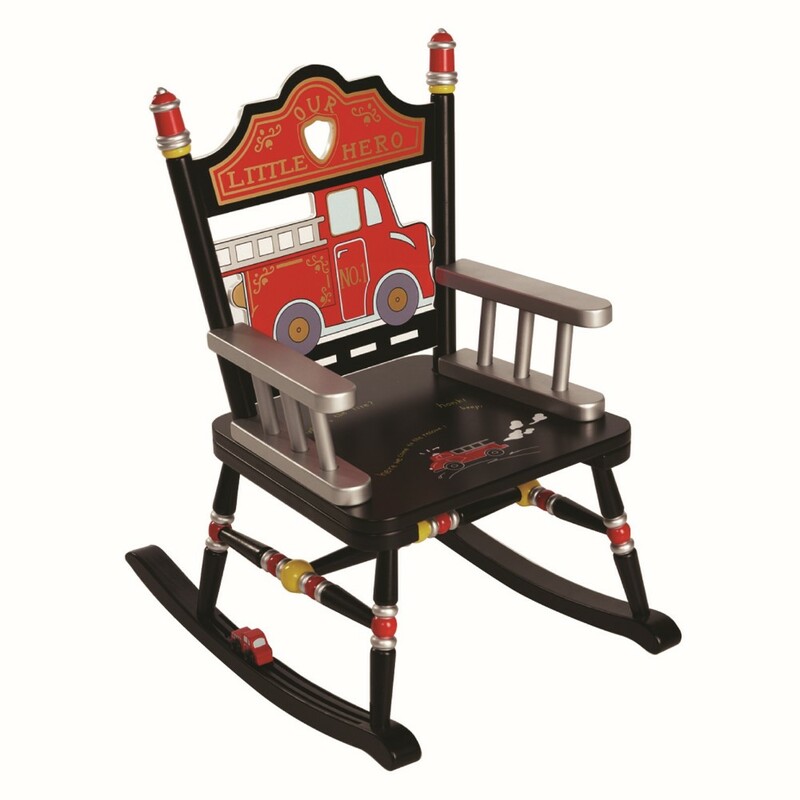 This unique design Child Rocking chair-Fire Engine Kids Rocker is a beautiful piece of kids furniture for your child room. 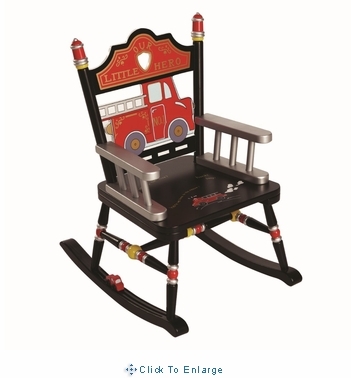 It matches our kids room furniture-Firefighter Theme Room Collection. Dimensions: Height - 28" to 30" Height of seat: 12 "